The rand: Looking for reasons why... or simply looking ahead? 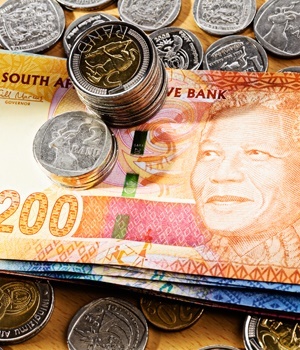 Cape Town - The rand has breached the R12.40/$ -level, firming on continued positive sentiment following Cyril Ramaphosa's election as ANC leader, and as the greenback eased against a basket of currencies. "The market still believes that the new ANC leadership is going to turn the SA ship around," Wichard Cilliers, currency dealer at TreasuryOne told Fin24. By 13:15 on Wednesday, the local unit was changing hands 1.17% firmer at R12.35/$. The last time the rand was traded at these levels was in March, just before President Jacob Zuma axed former Finance Minister Pravin Gordhan and his deputy Mcebisi Jonas in a Cabinet reshuffle. The unit was then trading as low as R12.30 to the dollar. "We have seen the US push the ZAR stronger, and our local bonds are around 75bps stronger than a month ago," Cilliers said. He said the rand still seems like the flavour of the month following Ramaphosa's win over President Jacob Zuma's ex-wife Nkosazana Dlamini-Zuma's in the race for ANC president. READ: Will Ramaphosa V deliver? The rand tested a 3-month high of R12.75 ahead of the widely-watched ANC elective conference. The surge in oil prices to 2-1/2 year highs on Tuesday has boosted currencies of commodity exporting countries. However, other emerging markets currencies are still not performing as well as the rand currently is, said Cilliers.